Conventional wisdom suggests that clarity of purpose is the antidote, that congregations and leaders with clear missions easily separate the wheat from the chaff. 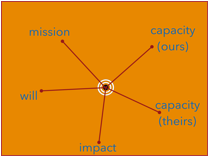 But missions are rarely specific enough to be used as meaningful management tools. This dilemma confounded me for a long time. The talented staff team I lead was constantly generating new opportunities we didn’t have time to pursue. We were clear about mission but it seemed like every good idea we ever had could fit within it. Somehow we needed to get more strategic, to prioritize, and to use our limited resources in a more focused way. So we developed the “sweet spot,” and suddenly we had a way to both talk about and decide from among competing strategies. Here’s how it works. Have a look at the picture over there. Imagine the intersection of all the lines like the bullseye of a dartboard. Consider the degree to which the idea being considered reflects the highest manifestation of each criteria, and plot that point on the line. The more the idea being considered achieves the criteria named, the closer to the center bullseye the idea moves. Once you’ve located the point on each line, you’ll be able to draw the size of the bullseye. The smaller the better. Mission. 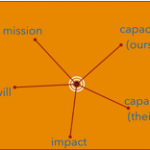 The trick here is to translate a general sense of mission into specific strategic direction. 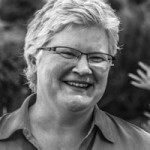 Consider what the congregation is uniquely poised to do in the current time and place. This question isn’t as abstract as it might seem – you can decide everything from worship topics to adult ed programming to stewardship themes based on a careful read of contextualized purpose. Your ideas should already fit within your mission, so this is mostly about degree. Ask yourself if the idea before you is a particularly good manifestation of core purpose. Capacity (ours). Think about whether your team has the capacity to execute the proposed idea at a high enough level of excellence that you can maximize mission and impact. Does someone on your team know how to do it, or could they learn easily? Do you have the time, energy, and necessary financial resources? Capacity (theirs). Based on your knowledge of our constituents, is there enough capacity to meet your efforts half way? Do folks out there have the time and energy? As leaders we often want our peeps to have more juice than they do and we think they should really want to do awesome stuff, so it’s easy to excite ourselves into thinking there is capacity there that isn’t. Try not to do that! Impact. Think hard about the probable impact of the idea at hand – the number of people to be served, the depth of need, the duration of impact, the possibility of secondary gains such as learning something important that might be transferable to other areas of church life. Assessing impact doesn’t have to be scientific to be helpful. Will. It’s easy to overlook the importance of figuring out if someone actually wants to do what you’re considering doing. Leaders’ passion, excitement, and desire to engage can make or break even the best ideas. While the sweet spot can definitely give you a way to assess individual ideas, its highest use is to compare and prioritize and to help your leadership team know what to say no to. If any idea fails to make it most of the way toward the bulls-eye, don’t do it! Something better will emerge. You can always have faith in the next good idea. 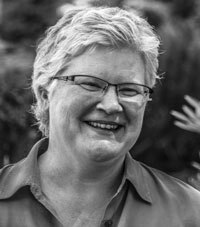 Sue Phillips is our UUA’s Regional Lead for New England. Nothing makes her happier at work than sitting around with her staff colleagues as they get their strategy on. Head over to Faithify to see a dynamic product of their strategizing.